WWE: Elimination Chamber matches and results! After becoming the new WWE Cruiserweight champion defeating Cedric Alexander at WWE Super Show-down back in November 2018. Buddy Murphy's next competitor was no other than Akira Tozawa. Akira Tozawa is known from his risk-taking moves in the ring but will Akira Tozawa win and become the new WWE Cruiserweight Champion? After surviving so many first-ever pay-per-view matches, Vince McMahon announced to the WWE Universe that there will be a First-ever Women's Tag Team Championship match! Throughout, the weeks on both Monday Night Raw and Smackdown Live on a Tuesday every women's tag team opponents fought in matches! Naomi & Carmella being eliminated first. The Iconics being eliminated second. The Riott Squad members Liv Morgan & Sarah Logan being eliminated third. Nia Jax & Tamina being eliminated fourth. And it came to the last competitors Sasha Banks & Bayley vs Sonya Deville & Mandy Rose but who won the first-ever WWE Women's Tag Team Championships? After becoming the new WWE Smackdown Live Tag Team Champions defeating The Bar at WWE Royal Rumble back in January 2019. Their next competitors were no other than The Usos. The Usos is known from a Samoan family being related to Dwayne The Rock Johnson but will The Usos win and become the new WWE Smackdown Live Tag Team Champions? After becoming the new WWE Intercontinental Champion defeating Dean Ambrose & Seth Rollins in a Triple Threat Match on Monday Night Raw back on 14th January 2019. His next competitor was no other than Finn Balor. But with Bobby Lashley having back up Finn Balor was only allowed to pin or submit Lio Rush. Finn Balor is known from his risk-taking speedy moves in the ring but will Finn Balor win and become the new WWE Intercontinental Champion? Results: Finn Balor becomes the new WWE Intercontinental Champion after pinning Lio Rush. Bobby Lashley & Lio Rush have now got a feud with each other. After becoming the new WWE Raw Women's Champion defeating Alexa Bliss at Summerslam back in August 2018. Her next competitor was no other than Ruby Riott. Ruby Riott is known from being the leader of The Riott Squad but will Ruby Riott win and become the new WWE Raw Women's Champion? After the match, Ronda lifts her championship in the air as Charlotte Flair looks at her opponent for Wrestlemania. Charlotte Flair would then get into the ring to exchange some words for Ronda Rousey. Suddenly, Becky Lynch comes through the crowd in crutches and starts to attack Charlotte Flair and Ronda Rousey with them. Will Becky Lynch get fired or suspended some more? After losing power as General Manager Elect back in December 2018. Baron Corbin begged for another chance to prove himself. Triple H gave him an opportunity to prove himself by facing Kurt Angle. As that match went on it became a disqualification and handicap match meaning Apollo Crews, Chad Gable, Bobby Roode, and even the 'referee' Heath Slater joined in. Baron Corbin would lose the match. His next competitor was no other than Braun Strowman. Braun Strowman is known from having a feud with Baron Corbin since Royal Rumble 2019 but will Braun Strowman win? After becoming the new WWE Champion defeating AJ Styles on Smackdown Live back in November 2018. 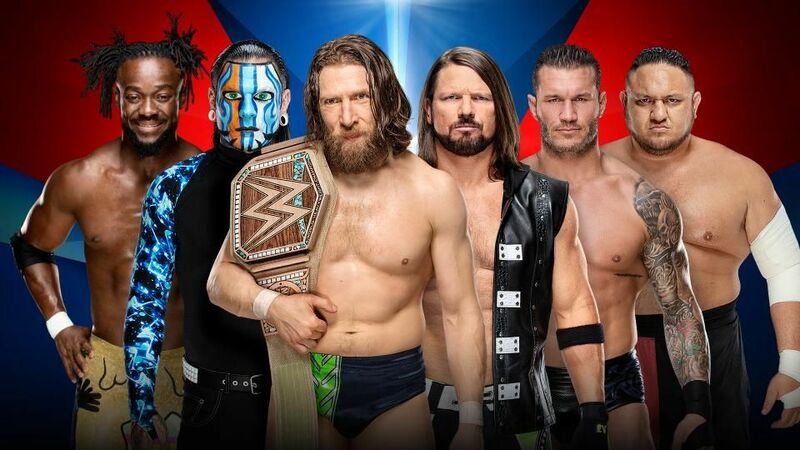 His next competitors were no other than AJ Styles, Samoa Joe, Randy Orton, Jeff Hardy, and Mustafa Ali but he had to be replaced by Kofi Kingston due to a really bad injury. Who will become the new WWE Champion?